I have multiple online properties in a variety of niches. I'm best known as a Super Affiliate, but have hands-on experience in a wide range of online business models. ClickNewz is where I share news on the latest Internet Marketing trends and strategies, as well as unique case studies, creative ideas and (extremely) candid product reviews. We discuss everything from mindset to technical issues, the secrets to writing engaging content, improving your traffic and conversion rates - you name it! If you work from home and/or online, ClickNewz is where you want to be. NEW: Get Your Product, Site, Affiliate Program or Service Featured on ClickNewz for a Quick Traffic or Sales Boost! When you subscribe by email, using the blue box at the top right, you'll receive one email per week every Monday morning (around 8am EST). That email contains a weekly digest of the most recent topics here at ClickNewz. Once you subscribe you'll also have the option to sign up for daily updates, in case you like your 'newz' to arrive a little quicker 😉 . This service is handled automatically by Aweber using the Blog Broadcast feature, and arrives daily around 11:30am EST. It's the best way to get the latest posts, especially when the topics are time sensitive. My last real job was as a Unix Sys Admin (booo-rrrr-ing!) which I quit in 1996 to start my first business. Some of my experience over the last decade includes professional web development, managing an international web team, start-up consulting, computer training, professional adviser for Intuit, partnerships with 2 wholesale/eBay companies, managing an offline business, and public speaking. I ultimately ditched it all to become a Super Affiliate and Professional Blogger. My focus now is on niche affiliate marketing, and on helping others achieve the same freedom & flexibility with a successful online business that I have for myself. I received the May 2003 Best of Success Award at Total Life Success and am a contributing author to a #1 Best-Seller titled Wake Up... Live the Life You Love! I have been featured on Entrepreneur Magazine's home biz talk radio show, as well as several other talk shows through both wsRadio and World Talk Radio. A big part of my mission with ClickNewz is to test out various ways to make money online, and then report the results here for your benefit. I also review websites, products, programs and even books. Some of my reviews are sponsored, and sometimes I am given a review copy. But more often my reviews are done on products & services I've purchased myself. Paid reviews were done with the same consideration as non-paid content and reviews. I'm known for my candid style, and am just as quick to tell you what NOT to use as I am to recommend resources I find incredibly helpful. The content here may or may not contain affiliate links, which means that I am paid for referrals to certain sites or products. Regardless of whether I'm compensated or not, I will never promote or recommend a product that I wouldn't use myself. ClickNewz contains my honest opinion and thorough reviews, and I wouldn't risk losing you as a reader by promoting anything that doesn't meet my own standards. Affiliate links are simply a way for me to make a career of writing content on a topic I am passionate about - and doing it at no cost to you. I'm always interested in reviewing products or discussing joint venture, advertising & sponsorship opportunities. Contact me if you would like to make a proposal! You'll find stats here, and here is a sweet opportunity to advertise directly to my readers. 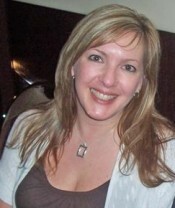 Lynn Terry is a participant in the Amazon Services LLC Associates Program, an affiliate advertising program designed to provide a means for sites to earn advertising fees by advertising and linking to amazon.com. Love the blog, it is really cool. You do not seem to have 'subscribe via email' option. This would be a great addon, you could test its effectiveness also, I subscribe to blogs directly to my email address. Hi Azzam and Thank you! You can subscribe via email using the "Get ClickNewz!" in the sidebar at the top right of the page. An email goes out every 5th post with a short excerpt of each so that you can scan the headlines and check out what's new each week. Would love to have you join the list and become a regular here! Hi Lynn - Just found your site & am catching up on How to Write a Better Blog! I'd like to develop and monetize the blog better, ~ help me so I can retire! Have signed up for your newsletter feed! 35... WOW... I thought you were a lot younger honestly. Damn. Nice :). It must've been a good feeling when you could finally quit your job and do this online thing, full-time? Younger, huh? I should update my photos 😆 They were taken last Feb actually. Anyway, I quit my last job in 1996 to start my first business - which was a local business. I worked online by early 1997 but focused mainly on putting offline (local) businesses on the internet. But yes, it was awesome! My last job was as Unix Sys Admin... and I while I loved my job, the office atmosphere and total lifestyle package was not ideal. Yeah... you'd better. It's not cool, tricking people like that ;). Working 8 hours a day in a sweaty office and building someones business vs working at home and deciding whenever you want to work and building YOUR business. Yeah... #1 doesn't sound very interesting for sure :). I used to be a logistics coordinator. Boring job, long hours and stressed out boss. Terrible. I love the freedom. I wouldn't be able to work for a boss anymore. Lynn, found you through Twitter. What's your experience with Scratchback? Is it worth the real estate you give it? I've been very happy with ScratchBack. It is much better than the traditional Tip Jar, which I tested prior. Its also completely automated, and highly beneficial to my readers - which I love. Sounds like you have had some different experiences on the net. I spent a few years as an eBay powerseller (I had over 10,000 auctions over 5 years). Their fees have sure gone up. Margins were too tight. Just came across ClickNewz; I just added you on twitter and a few others and added you to my rss reader. Lots of great content, even I have been able to get some great tips. Keep up the great work, Lynn. I just came across your site tonight. I'll be following you on twitter and grabbing that e-newsletter. I can't wait to read more of your stuff! I am looking forward to follow you on Twitter. Very interesting blog for Internet Marketing tips. How often you update this site? I love listening to you on the podcast. I bought a acer mini laptop after listening to you on the podcast. I love it. I am new to internet marketing but I have big dreams. Thanks. P.S. I have problems with my video to show up on ustream. Ustream reads the camera on the laptop and you can hear my voice when I record but my video is not showing in the video window. Any suggestions? Congrats Lynn, You are everywhere,like god !! I know it's difficult to reply to everyone and i know almost everyone wants a response from you..right!! Hi Lynn,I think i just tweeted you the wrong way... I have been following you on IMTW, like your common sense business approach and very interested in starting up passive income web sites. Do you show your clients / students some of the same exact methods you have been using over the years to product income? Hi Lynn, your blog is really very instructive and helpful. I just wanted to say I love your blog and the content you've added and keep adding. However, I think the most important aspect of your blog is the complete honesty that keeps coming out whenever you write. It's really refreshing in this hyped-up online world we all attempt to succeed in. Your post was very moving (I'm with Tracy on the tears...) Grandmothers hold a special place in our hearts. My grandmothers have passed on too, but one of them told me, my siblings and cousins that she would be riding a pink cloud after she died. It is amazing how that simple comment has kept her memory so alive in my heart (not that I could ever forget her). The combination of a gorgeous pink sunset or sunrise and the memory of her make it a perfect moment. She had a yellow Mustang in the 1970's when she herself was in her 70's! She was a very spunky, independent woman that I admired greatly. Maybe your grandmother is up there too - riding the pink clouds? I find you over and over again here and there, not by name or avatar, but by your attractive titles and content you create. I appreciate it and wish you all the best. Wow, Lynn, Mary did a great job interviewing you, and just LOVE the topic. You hit the nail on the head, as in it takes time, patience, know thyself, and some roll up the sleeves get down and dirty work...to find your passion, your stride with it, and how to monetize it well. So hopeful as I tread this path that others have gone on before me, that Yellowbrick road! Great stuff Lynn, I always look forward to reading your articles. Congratulations on a great IM blog. I was just looking for info on PLR products and their definitions (compared to MMR etc.) and your blog popped up. I have read your blog for quite awhile now, and I like what I see, so I just headed over to your forum, and registered. A friend of mine told me about your website, and I just wanted to let you know that I have found several articles/posts here very helpful. Besides business plan writing / consulting, I am involved in affiliate affiliate marketing, and your website is simply a great resource on this. I just want to thank you for putting up this blog. I have spent 8 months (EIGHT!!) since I first started trying to figure out how to make money online, drifting in a sea of bs and hype before I began finding my way to people like you and Rosalind Gardner. Your story is an inspiration to me, especially when I run up against family and friends who think making money online is nuts and one needs to get a "real job". It is refreshing to see somewhat that clearly is authentic and offering real information and not just trying to make a quick buck off IM newbies. I have been practicing Internet Marketing for years and really enjoy the information you have provided on your blog, I think it's great that you are sharing your techniques. just started my website,my student visa to university of illinois law scholl was denied and i decided to go for blogging. still struggling with advertising and all that but i know i will get there! Hi Lynn, I just read your information about clicknewz and all that you are trying to accomplish with it. It's great to see people carry on with what they talk about wanting to do instead of not taking action. Because of taking action, you have grown an online business very well over the last 14 years like you said. You are an inspiration to many! Keep up the good work and I look forward to checking back to ready up on your reviews in the future! I Learned a lot from your recent list building series. I'm sure it is going to help me get much needed traffic! Keep up the good work, thanks! This probably isn't the proper place to leave this comment but I just want to express my thanks to you. When I first came across internet marketing in '07/'08, your site was one of the first I was fortunate to come across after searching for something along the lines of "make money online legit" or "make money online honest". I was a quick paid subscriber to your premium newsletter and felt it was well worth the price to have your extra expertise sent to my email as often as you kept in touch. Since then, I've grown a lot in the business, took breaks, and have been able to build on the lessons learned from ClickNewz. I've successfully been in business for myself since 2007, and it's in due part to trailblazing and giving experts like yourself. Although I don't frequent this site as much as I used to, I always visit when I feel in need of familiar company of someone I look up to. Thanks for being so willing to share and for inspiring many people like myself whom you have helped with ClickNewz. Lynn, this site is fantastic, and I'm very fortunate to have found you like I did. Sure, I wish it was back when you first launched. But better late than never! And, thank you for the luv! I really enjoyed your blog! I will be back! Thanks for attracting my attention to your Blog Lynn. I've been an IM Hobbyist for over 7 years and can learn a lot from you about turning this into a Living Pension. I'm 66 and am now suffering having to sell our car and home to pay off a Recession-Hit Retail Business. My wife and I are moving to a small rental property shortly and I intend to earn as much on line as our pensions provide so that we can afford to visit the friends we've missed seeing for so long working ourselves to a standstill 7 days a week in our shop. I have just started a blog silimar to yours in the Netherlands. I think your blog is really useful and I will come back regularly to check out the new topics! On my regular Evernote app, I can only clip articles - I don't have the functionality that you showed in your article. How do I access that part? I recently came by your website researching blogging via google. I have been very interested in this for some time now. I believe 2013 is the year for change. Since I am fairly new to this and have read a few of your articles so far I was wondering if you can point me to the right direction to be successful. I also would want to say that your articles are very to the point and helpful. I am glad to finally find someone that is not only about selling a product and only there for the money. You seem like you want to help people as what I would like to do to start this new journey. Hello, Lynn. I enjoyed your web site. While browsing through it and downloading some great stuff you generously provided, I was wondering if you have an affiliate program. I know a lot of my friends would love your products. I would like to share with them. I am not on any social media except email. However, a lot of my friends are on social media. They could share amongst themselves that way. If you don't have an affiliate program, I would like to request your permission to forward some of your articles to my friends. I would make sure you get the credit as author and inventor by providing your name, web site, and anything else you require. I would much rather be a part of your affiliate program, if you have one. How about a referral program? That would work too, if that would be better for you. Thank you for your time in this matter. Take care. Rosella Young, AA-1 Designs, Invest in your shelf! I can say amen to that. 17 years... That's a lot of experience! Hi Lynn, This is my first time on your blog, I found my way here through Tiffany Lambert's blog and I think I will be spending a lot more time hanging out here.